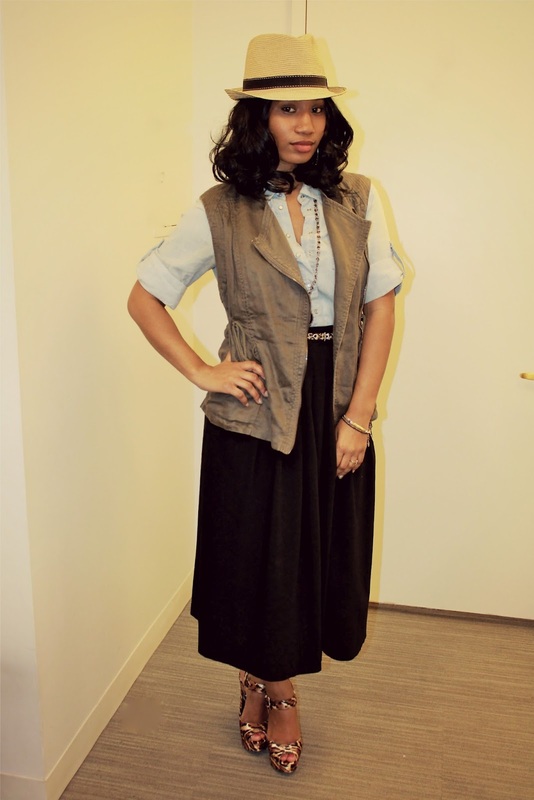 i adore that vest and the midi skirt. Thank you!! 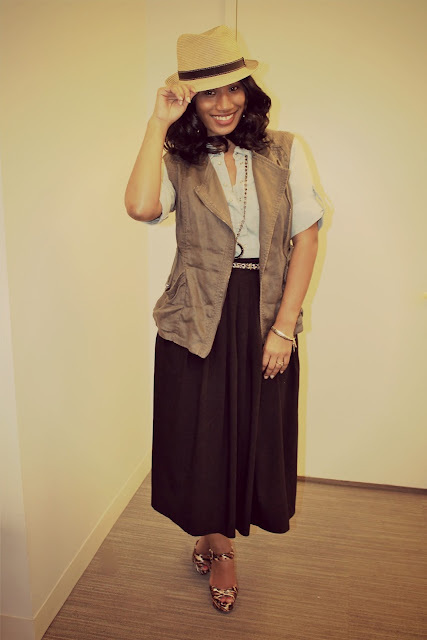 Midi skirts are def my favorite!! 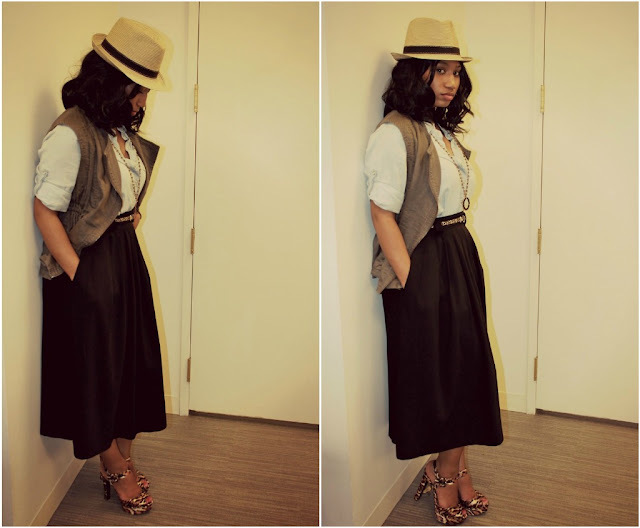 You are so blessed to have access to such great hats, and I really like this belt/vest combo. Great look! Thank you!! Def a good thing to have options... i'm super grateful. Thank you!! I am definitely blessed - my dad has an awesome collection! Aww i'm happy i was able to inspire you! please let me know which outfit you come up with on your blog!